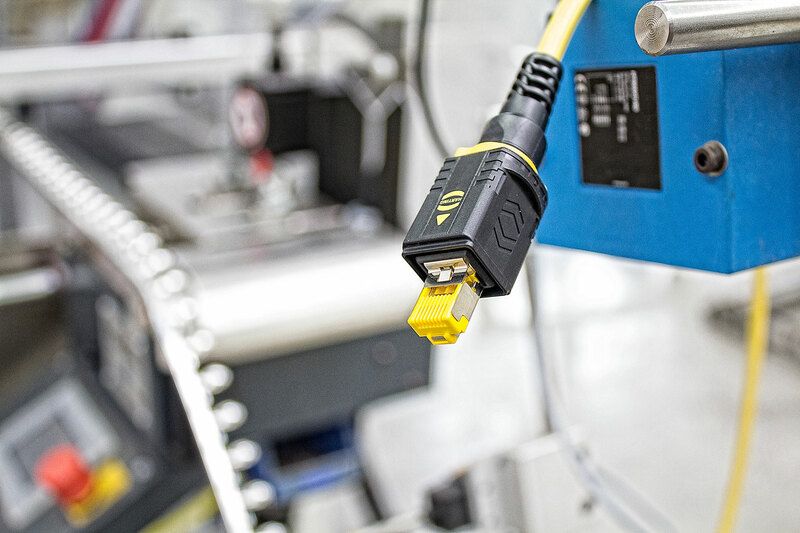 With the PushPull plug connectors, HARTING provides easy-to-use housings which can be used for very different applications for the transmission of data, signals and power. Besides the classic RJ45, this modular concept also includes connector faces for signals, power transmission and the connection of optical interfaces. 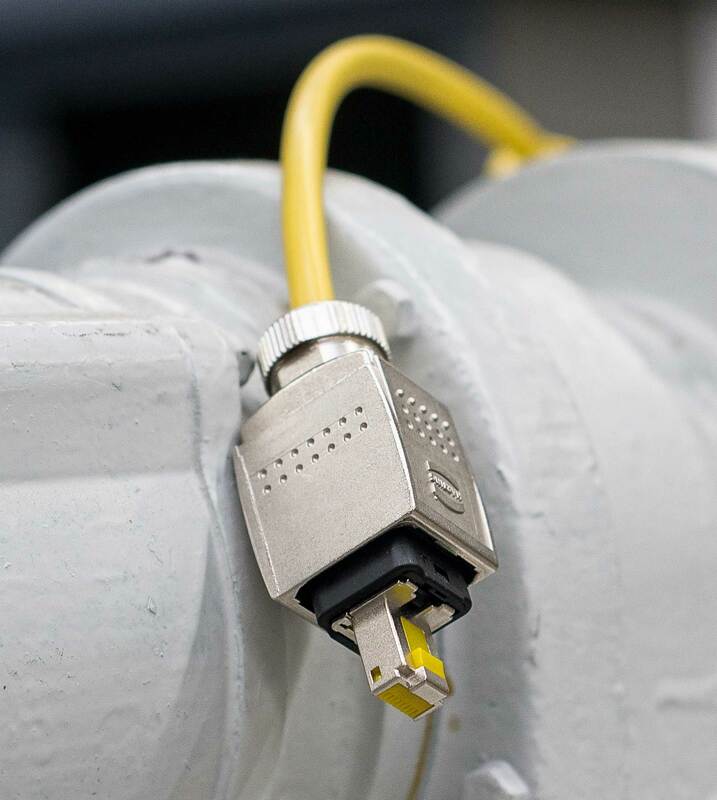 An ideal solution for Ethernet applications in challenging outdoor operation, whether it is a camera system for monitoring process technology systems, telecommunications equipment or traffic technology. They are all exposed to the sun, wind and rain, and, in coastal areas, also to salt spray. This aspect is not to be underestimated, especially in offshore wind power plants. For some time already, modern wind power plants have exceeded a hub height of 100 metres and require an alternative to copper cable for the Ethernet connections to the rotor head, which is limited for the required bandwidth over a 100-metre transmission distance. In these application cases, the protection of the connection is particularly important, because optical fibres are used here. As is known to be the case, optical connections are more sensitive to soiling than electrical connections. For such application cases, the V4 PushPull housing can also be equipped with a fibre-optic insert. In the field of automation and device construction, more and more facilities have touch panels and screens for operation whose video signals were previously connected via an Ethernet interface. In order to avoid this detour of multiple conversions and to be able to directly transmit a video signal, the V4 is also available with a display port mating face. Thus, modern HMI (Human Machine Interfaces) can work directly with video signals. All have in common the sturdy housing and easy handling. Plug in, click and ready! Modular thinking has been embedded deeply in robotics concepts for years now. Apparatus and tools must be quick and easy to connect depending on the application purpose. In particular in automotive production, the big brother of the PushPull V4 is useful here: the PushPull Variant 14. In robotics, designs with a zinc pressure die-cast housing are the preferable option. These withstand even the hardest stress tests, reliably protect against EMC and tolerate welding beads in a vehicle body line without any problems. However, what if the robot should then undertake another task? Obviously, hard-wiring would be completely out of place here. Retrofitting the robot has to take place in a simple, quick and reliable manner. No problem with the PushPull V14! 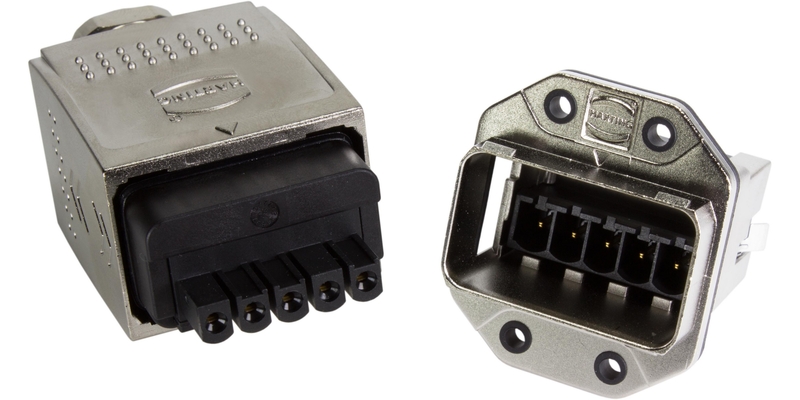 The large PushPull also provides a suitable connector face with numerous inserts, regardless of whether it’s Ethernet, signals, power or optical fibre across long distances. To make the connection of power supplies child's play, HARTING also offers the PushPull connector in the Power L version. With its zinc die-cast housing, it is also optimally protected against adverse environmental influences and damage, but can also be easily connected by plugging and unplugging and disconnect like the variants V4 and V14. With up to 16A at 24V, it also provides energy-hungry applications with the right performance. His AIDA conformity betrays his roots in the robotics of automobile production. A click and the power is on.